Sugar high forthcoming. Be warned! With Memorial Day coming, everyone’s making barbecue and picnic plans. Well, everyone except me. I tend to forget all about it until the last second or just shrug it off, figuring that if worse comes to worst, I’ll just throw some meat on a fire and be done with it. But for you lovely people who plan ahead, think about this delightful no-bake dessert for your get-together time. 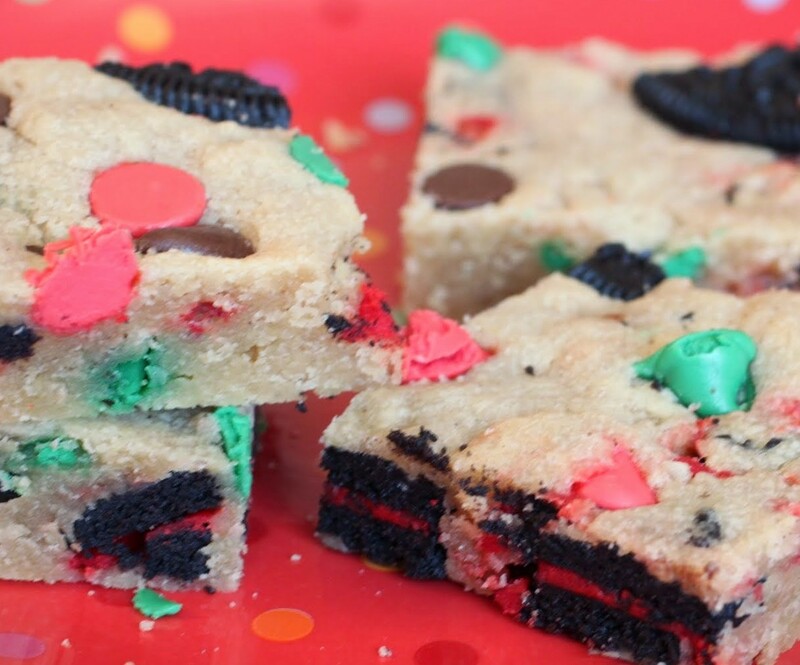 These bars are made of egg-free Oreo cookie dough and topped with thick white chocolate fudge. Bars n' Brownies, C is for COOKIE! 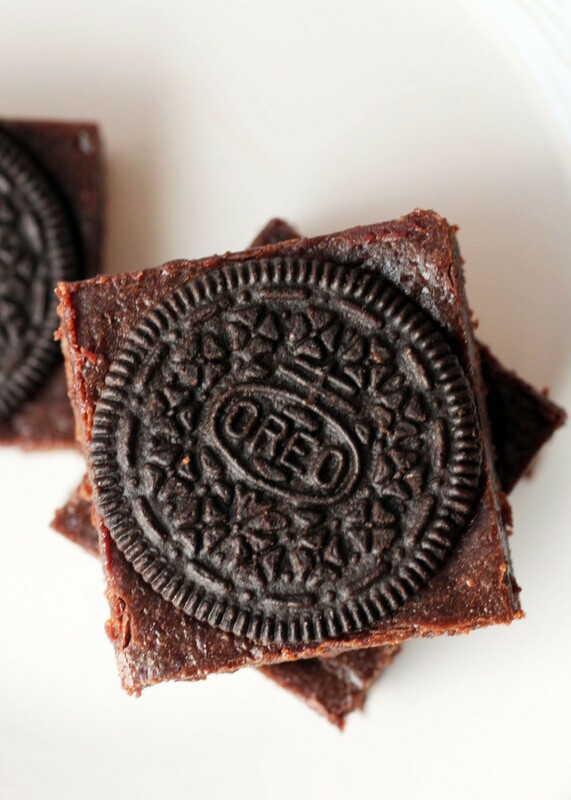 Nobody ever says no to an Oreo brownie. Nobody. On the surface, these are the simplest brownies ever. They’re also the best, and completely impossible to resist. 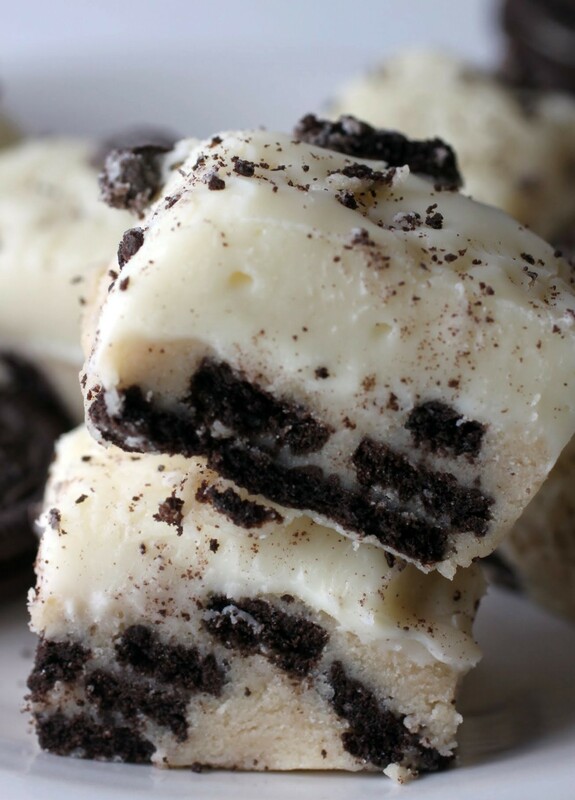 Oreo lovers, I dare you to walk away. Can you? Didn’t think so. I’ve been in the dessert business now for two-plus years, and I can tell you that Oreos have a strong and very devoted following. I’m definitely a disciple. I’d rather have an Oreo any old day than a Girl Scout cookie (I know, I know). When I insert them whole into brownies? Yeah. See you all next week while I collapse on the floor in a chocolate cloud. Not much is more annoying than spending a ton of money on something you could have made on your own for cheap. There’s the convenience factor, sure. Paying someone to make dessert is a lot easier than rolling up your sleeves and doing it on your own, but on Valentine’s Day, we like to pull out all the stops and make the treats ourselves. 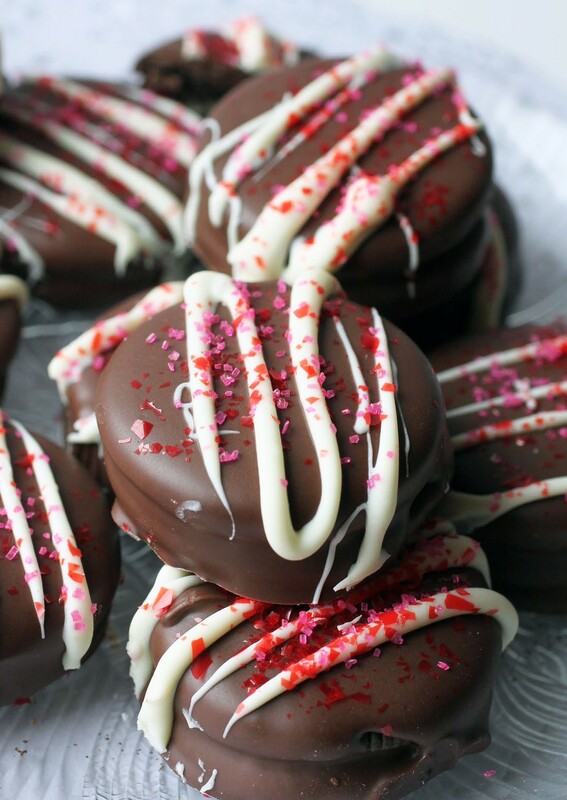 So why pay a lot of money to an expensive chocolate shop for dipped Oreos? These are just as good as the ones you pay for, if not better. See, they’re made with Double Stuf Oreos, which have more filling. They’re also blinged out for Valentine’s Day. There’s a video tutorial below, so enjoy! It’s gobble-gobble time. All lovers of cute treats, check it out! After Halloween, there’s a ton of spilled candy corn everywhere. In pantries, cabinets, behind the fridge…yep. I wind up finding candy corn wedged into small spaces way after it’s out of season. How to deal with this? Use it, fast! 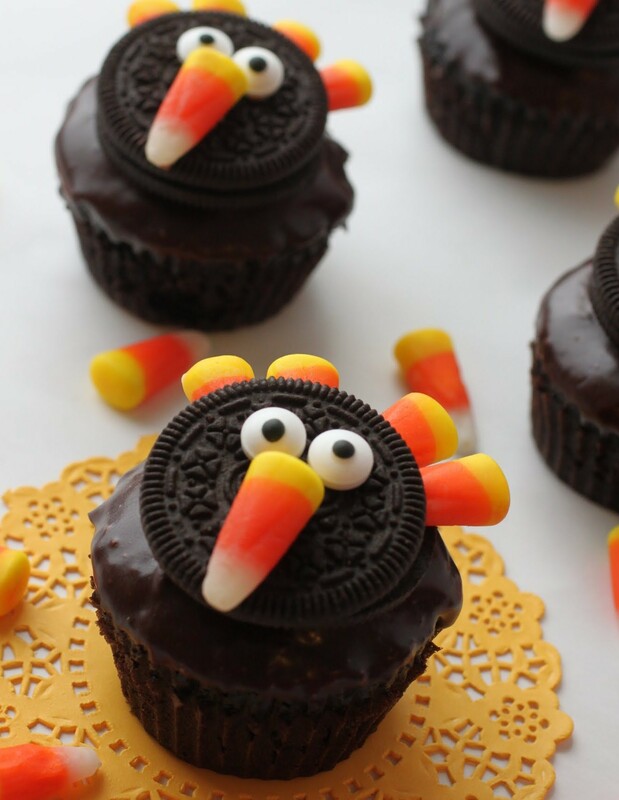 And the best way to transition from one holiday to the next is to use candy corn in these adorable chocolate ganache cupcakes. 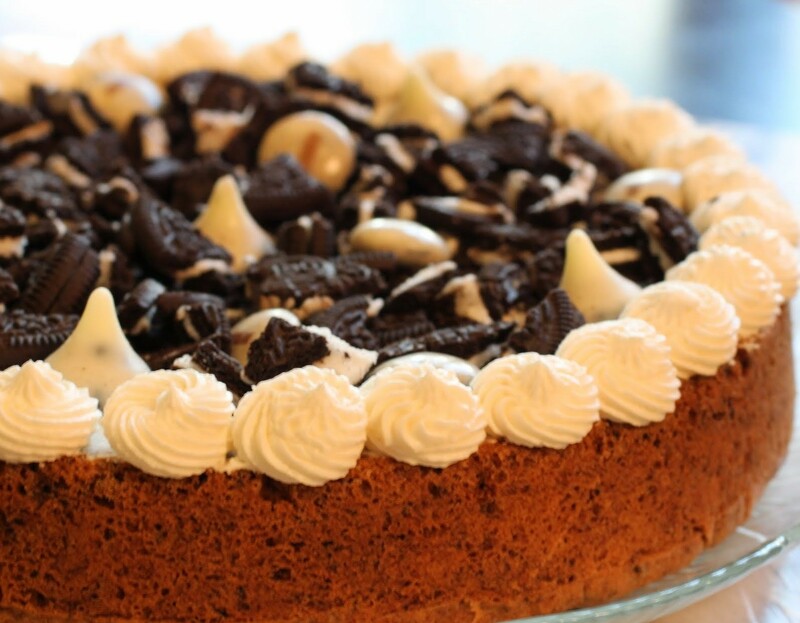 With an Oreo turkey on top, nobody can resist! Look at their little faces. Well, it only took a month to get here. Seriously, I bought these s’more-flavored Oreos a month ago. And I was all excited about making something with them with the vague intention of having it be s’moreo cupcakes. Life got in the way, and it didn’t happen. The cookies just sat in my cabinet until a few days ago, when fate intervened. I was trying to make cheesecake bars and realized after I began (hate it when this happens) that I was out of both graham cracker crumbs and graham crackers. But instead of giving up, which is not what a baker does, I remembered the s’moreos. 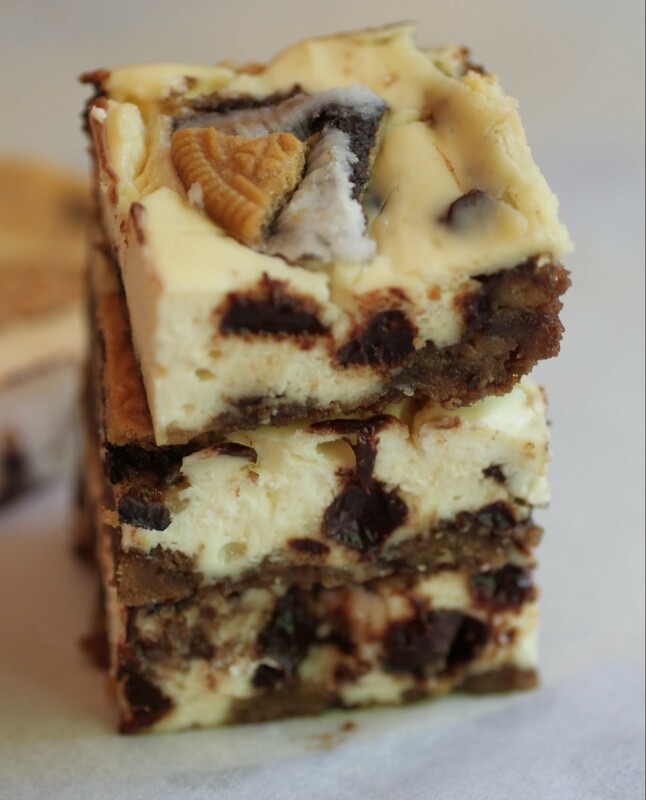 And suddenly, these cheesecake bars crystallized in my head and came to life! -How does available space get filled so fast? -Why doesn’t healthy food taste like brownies? -If a tree falls in the forest and we think there’s nobody to hear, did it maybe crush the one person who was out for an early morning stroll? -How do you keep small children occupied on endless snow days when you’re all trapped together in the house? I have very few answers, but the last one has to be projects, projects, projects. 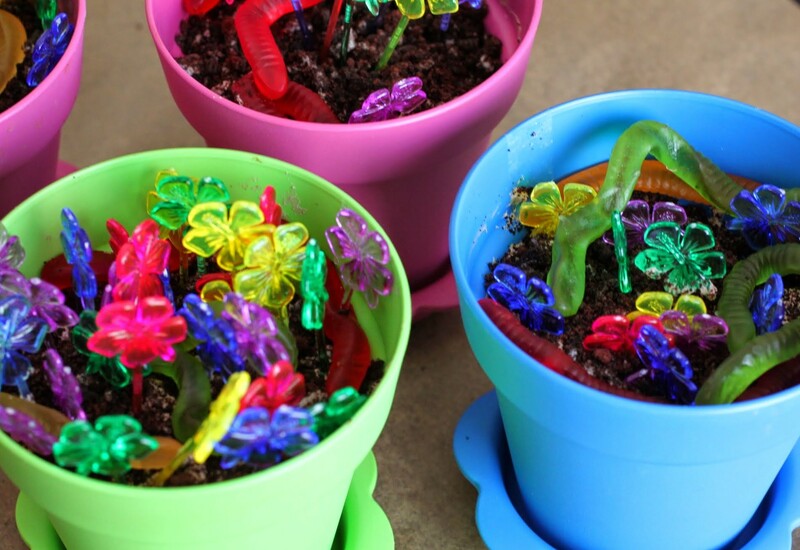 Keep those little hands busy! Well, it’s Friday, and the Big Day is over. You might have noticed that I didn’t really write a lot about Christmas, other than fact that the religion I belong to doesn’t do that holiday. Nope, I don’t have a tree. But I love baking for others during the holiday season even more. It’s such a great time for cookies and cheer! Day Three! Day Three! Fudge Week is drawing to a close. I hope you’ve had as much fun as I have. It’s been quite an honor to pair up with Gayle. 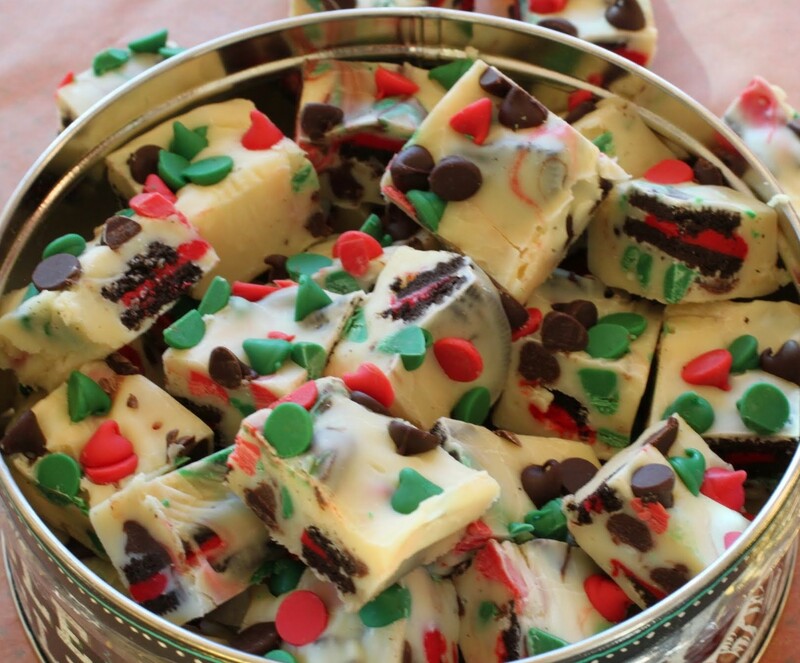 Check out her fudge recipe today! This final offering is made with white chocolate (yep, I’ve done milk and dark already this week) and it’s soft and perfectly fudgy. To be honest, I wanted to use Chanukah colors for this fudge, but guess what? Oreo doesn’t make a Chanukah variety, and Nestle doesn’t do blue chips. I had to keep the colors to Christmas. That’s okay! 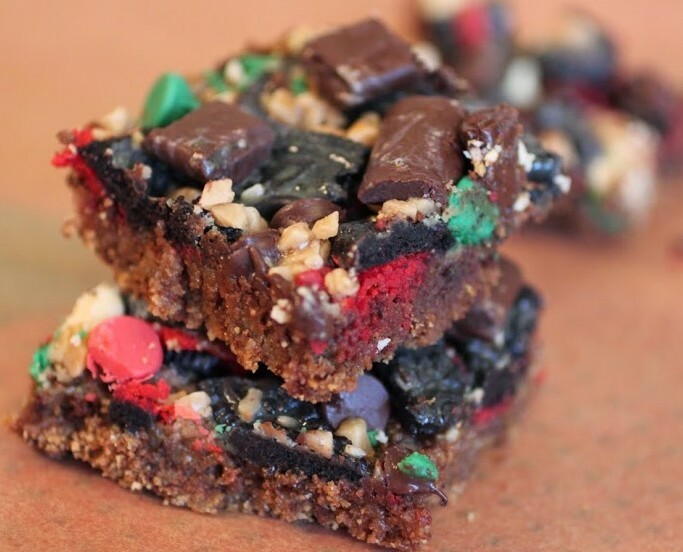 A few months ago, a reader wrote in to ask if I ever make recipes that are lower in sugar. To be honest, I typically don’t. My dessert approach is extreme, but to clarify, my lifestyle doesn’t reflect what I do on this site. I love dessert. And so when I enjoy it, which is every day, I enjoy it at its best. But I also do so in moderation. Every recipe on this site gets tested by yours truly, but after those initial bites, the rest goes to other people. Sometimes I eat quite a bit more than a few bites, or something is just too amazing to give away. But I also temper that with lean proteins, veggies, and a daily and extremely rigorous exercise schedule. After doing this baking blogging thing for a little while now, I’ve noticed something about people and their cravings. As a whole, people like chocolate more than fruit. They especially like peanut butter with chocolate more than fruit, and I agree on that point a bazillion percent. While opinions differ in regards to many cookies, most people can’t resist a really good chocolate chip cookie. And even fewer people will turn their noses up at anything with cookies and cream. In fact, whenever I make anything that involves Oreos, I have to hide in a corner while a stampede (comprised in part by people I don’t know that well, if at all) grabs at what I’ve done and totally eliminates its existence.